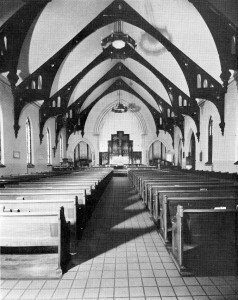 Saint Luke’s Episcopal Church was built in 1866. 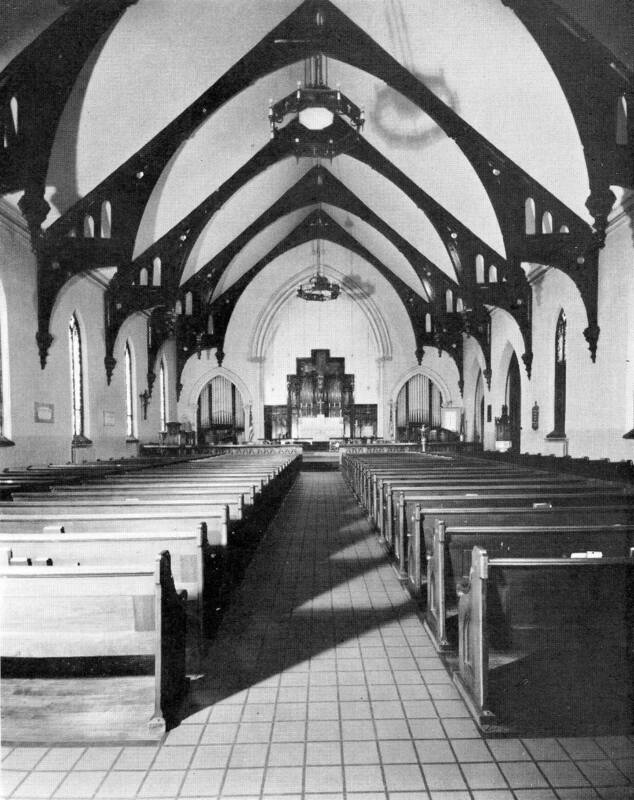 It was added to the National Register of Historic Places in 1979 for its architectural significance. 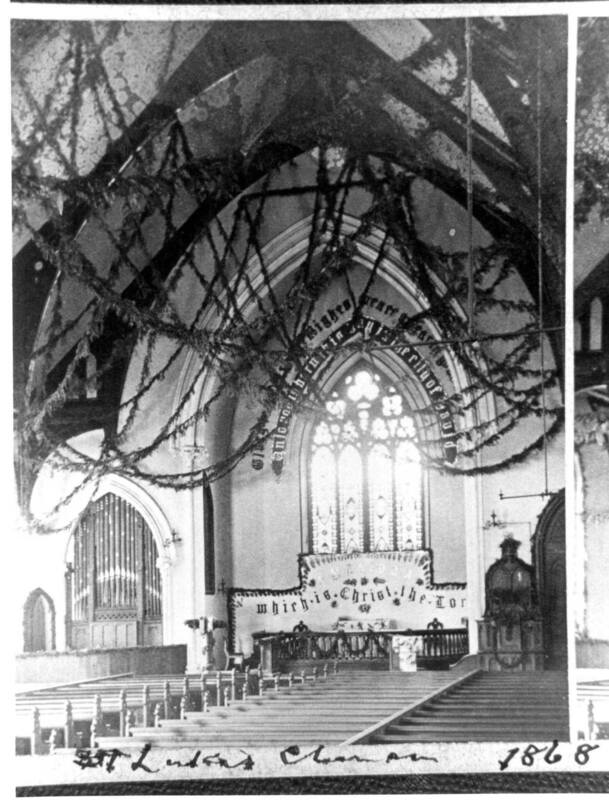 St. Luke’s Episcopal Church begins its 175th anniversary year! 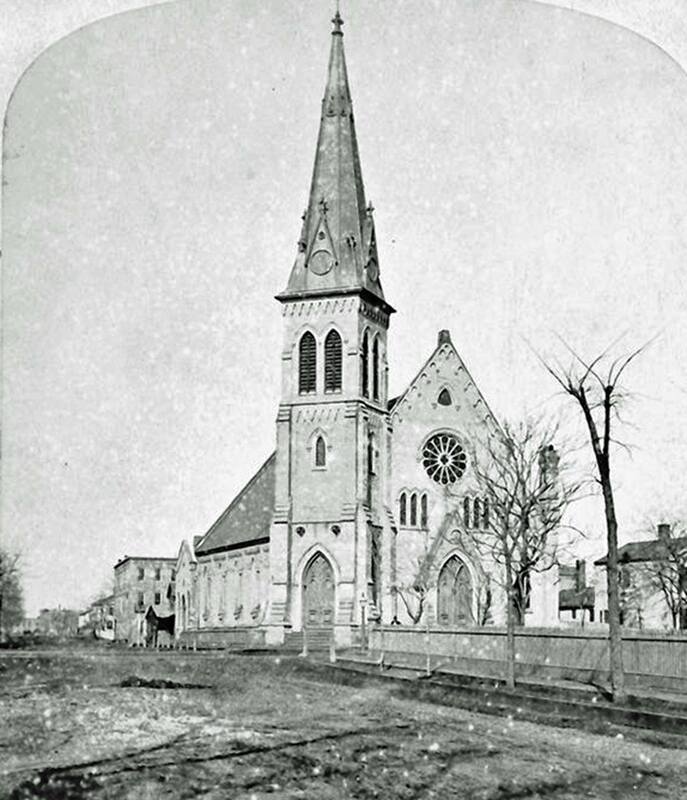 The first Episcopal parish in Racine was formed in 1842, following the establishment of the Episcopal Church in Wisconsin in 1836. 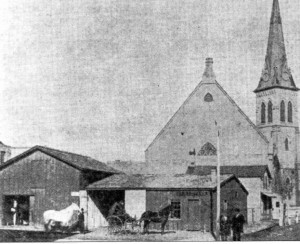 The first church was erected on the east side of Main St., across from Monument Square. 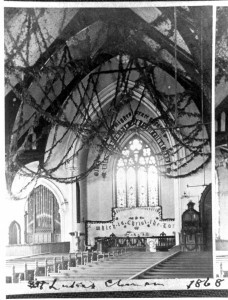 After a fire in 1866, a new building in the English Gothic Revival style was constructed at the present location, with the first service held on September 8, 1867. Bishop Steven Miller’s visitation and service on Sunday, followed by a reception, will launch the anniversary year. Religious and cultural events open to the community are planned for the coming months. 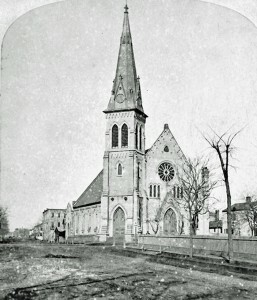 St. Luke’s Episcopal Church, Racine, Wis., about 1880. 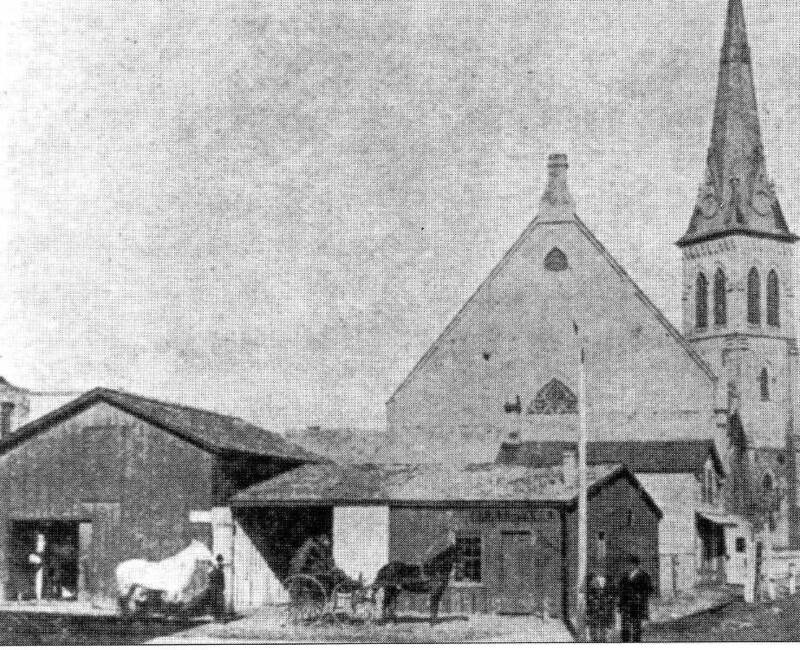 This shows the church in its current location at the corner of Wisconsin Avenue and 7th Street.